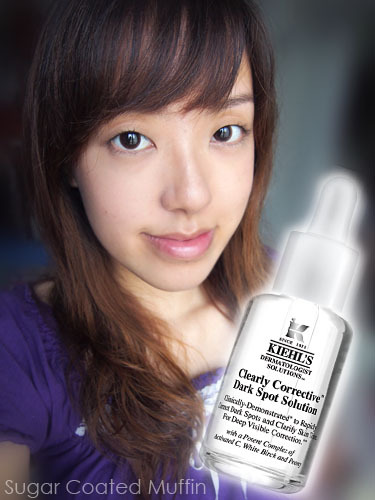 WIN the new Kiehl's Clearly Corrective Dark Spot Solution! Click HERE for more details. I've already explained about the new Kiehl's Clearly Corrective White range HERE. The star product of this range is the Clearly Corrective Dark Spot Solution which is 100% active on skin so it penetrates faster and begins working immediately upon application without over drying the skin. The formula's key ingredient, power-packed, Activated C is the latest-generation Vitamin C derivative on the market and Kiehl’s is proud to be the first company in Asia to bring this ingredient to market within a full product range. 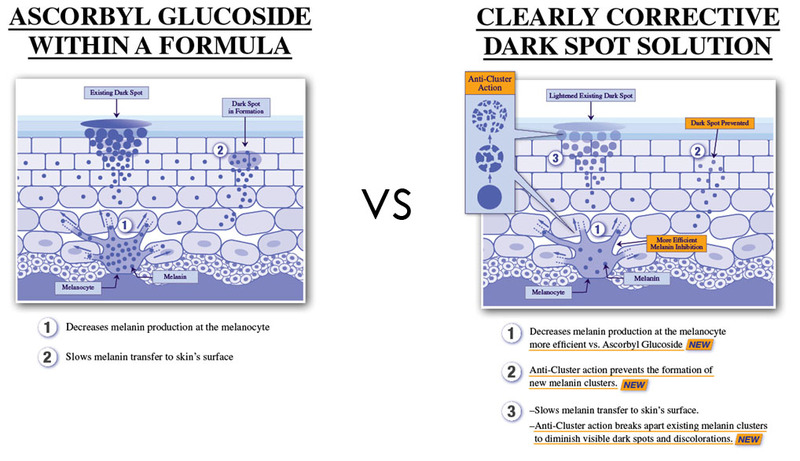 The Dark Spot Solution not only prevents but also gets rid of dark spots through anti-cluster activity. It is entirely clear as it aims to bring clarity to skin. Wouldn't want anything to interfere with the process. 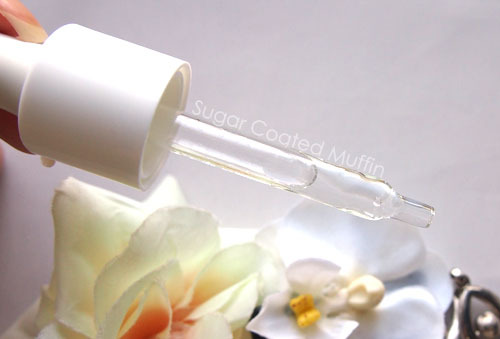 I love serums that come with a dropper! It feels so much more luxurious plus it's more hygienic & easier to control. I use 2 drops for my face, twice daily. 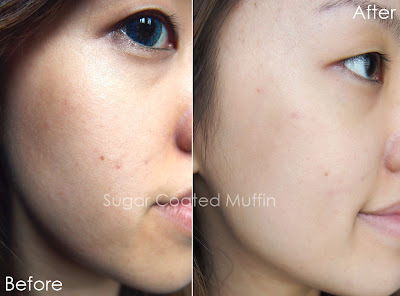 I was shocked at how fast the Dark Spot Solution disappeared into my skin. The only thing it left behind was plump hydrated skin. No shine or stickiness. 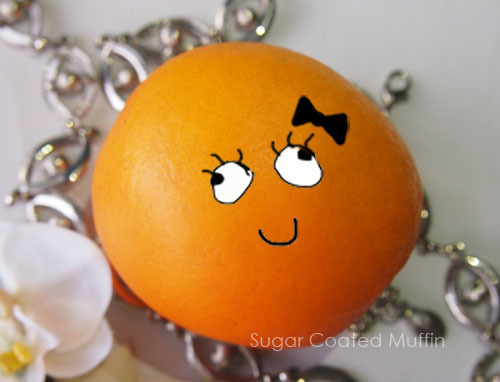 This is Miss Orange. 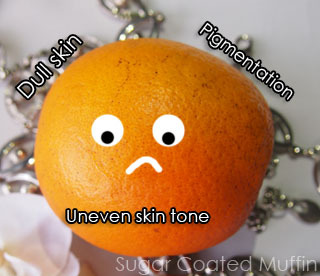 She's a sad orange because of her skin problems. After 8 weeks of using the Dark Spot Solution..
Dry flaky skin with dark spots, pimple scars, blemishes.. It looks much better now although I had used it for only 2 weeks. Brown spots are fading to pink spots and I do see a more radiant me in the mirror. Ingredients : Aqua/Water, Propylene Glycol, Glycerin, Alcohol Denat., PEG/PPG/Polybutylene Glycol-8/5/3 Glycerin, Hydroxypropyl Tetrahydropyrantriol, 3-O-Ethyl Ascorbic Acid, PPG-6-Decyltetradeceth-30, Phenoxyethanol, Salicylic Acid, Xanthan Gum, Hydroxyethylcellulose, Potassium Hydroxide, Citric Acid, Sodium Citrate, Tocopherol Acetate, Lavandula Angustifolia Oil/Levender Oil, Disodium EDTA, Lonalool, Citrus Tachibana/Citrus Aurantium Tachibana Peel Extract, Paeonia Suffruticosa Extract/Paeonia Suffruticosa Root Extract. My conclusion : Loving it! 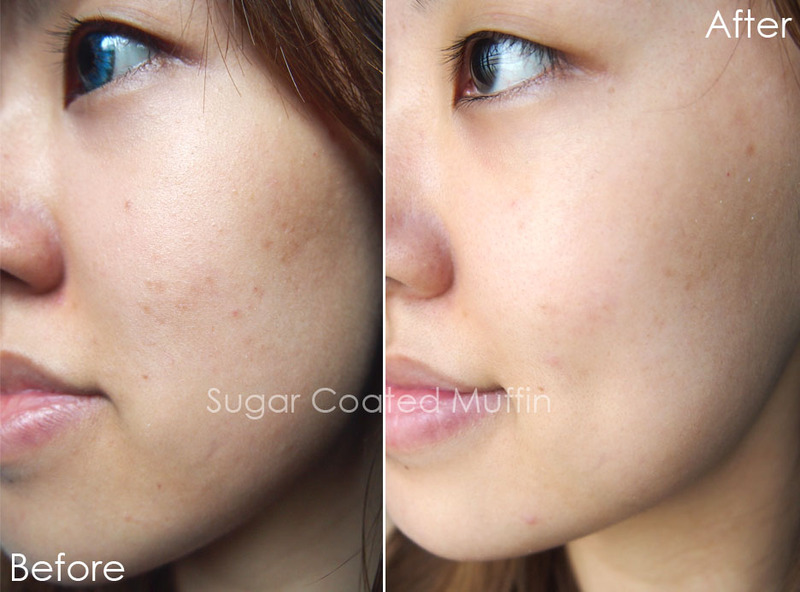 Although my current scar serum gets rid of pimple scars, it doesn't even out my skin tone and bring out the inner radiance like this. I'm convinced it will make my skin look better with continuous usage. omgg your review is so promising! the results look AMAZING!!!!! 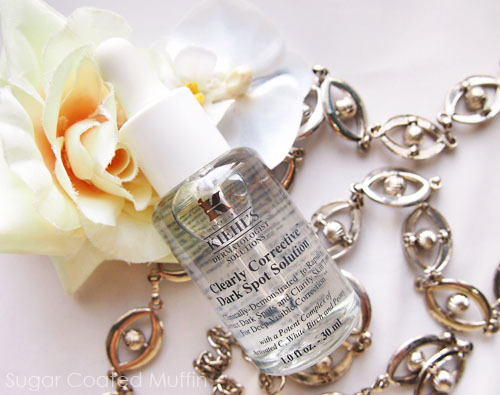 ohh noooooo's to the oiliness T_T okay I'm gonna go onto khiel's website to check how much this bad boy is!!! Not too bad.. Maybe my skin will get used to it :) Cos it's dehydrated oily. nice!! 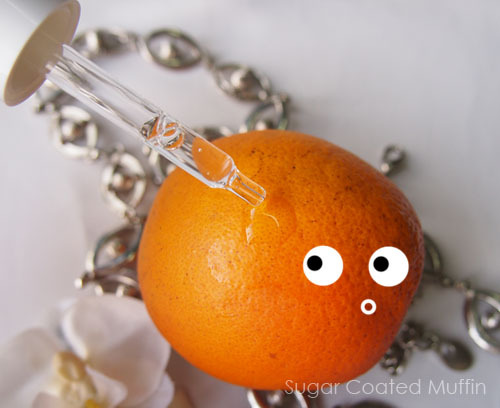 have u tried the MRC serum before? how would you campare that to this? after you reviewed this, i want to consider this too and someone mentioned sk2 at the comments..
arrrr... *pulls hair* which to buy??? Hmm.. But then if your skin get used to sk2, there isn't much left to try since sk2 is already so strong. Yes I have but I think my skin doesn't really like it (gets kinda bumpy). I don't feel it absorbing and I don't see any of the brightening/revitalizing effects others talk about. 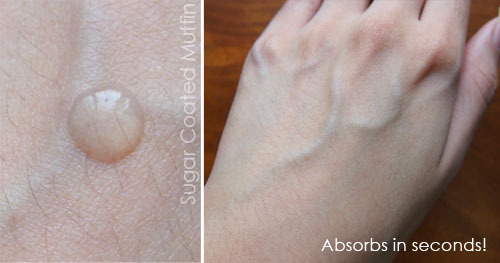 I only tried the ANR tester at the counter but I felt it absorbed better. This DSS absorbs all the way and the oiliness only comes after hours (which means it's natural except enhanced). Try all the samples before buying! Results are pretty amazing. This is one of those products I should invest in. Thanks for sharing. 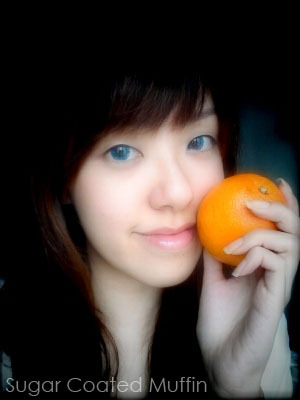 oh the result is really great! I might go ask for a sample and try if this will work for me! I love how you show REAL before and after photos :) Thanks for the review! You only use one or 2 drops at a time Hahaha.. but if you find a cheaper alternative with the same results, do share! Isbel, thanks for dropping by my blog. You do have a very nice beauty blog that I am attracted to come back again. seems like it really works wonder there :) i'd be happy like the orange to use this too!